Misha has always been a dog who loves her toys. She isn’t really a dog who plays fetch, though. We have the three throw rule. You throw the toy three times and the fourth time she walks away. It’s your turn to fetch. 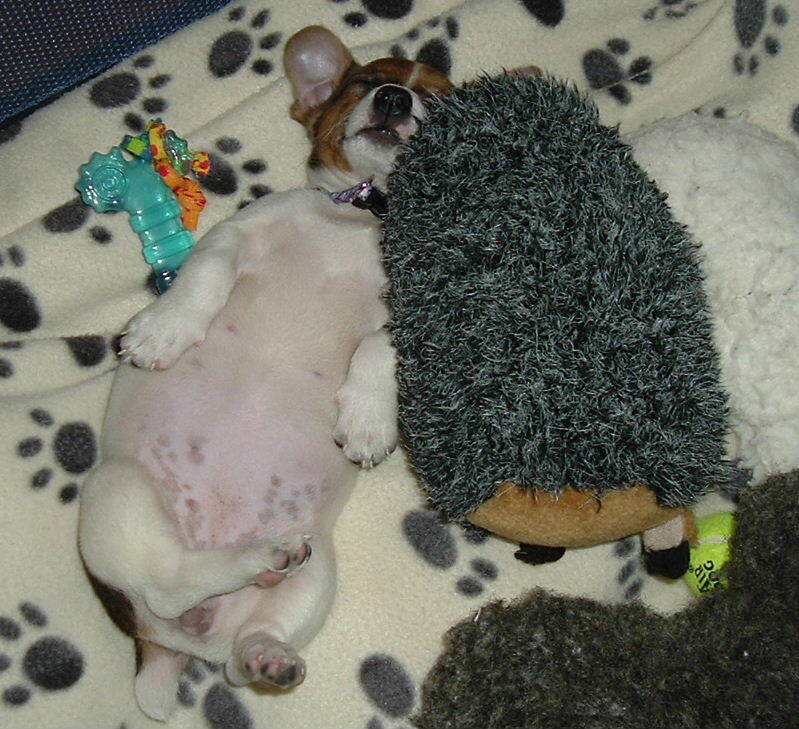 As a pup she loved sleeping with her hedgehog. Pretty much every dog loves their Kygen Hedgehog. Does yours? I am not sure what this is. What can I say? She’s a Jack Russell. I call this being one with the toys. Sometimes she loves her toys too much. Most of them are missing a leg like this poor octopus. Well, now it’s a pentapus. 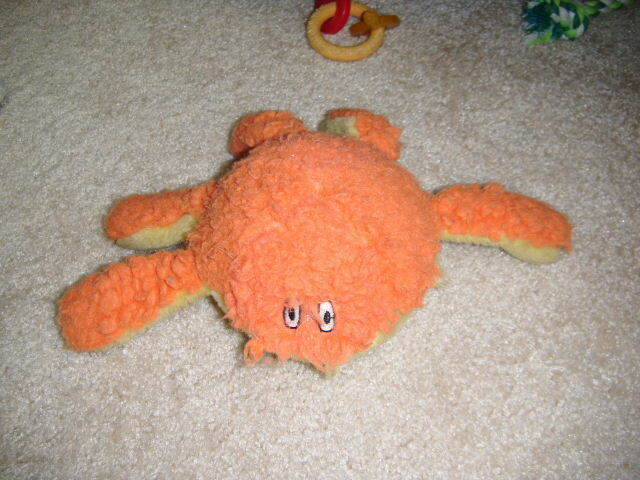 Many of Misha’s dog toys are amputees. Her favorite dog toy is her squirrel. This is her second one. The first one had to be retired. 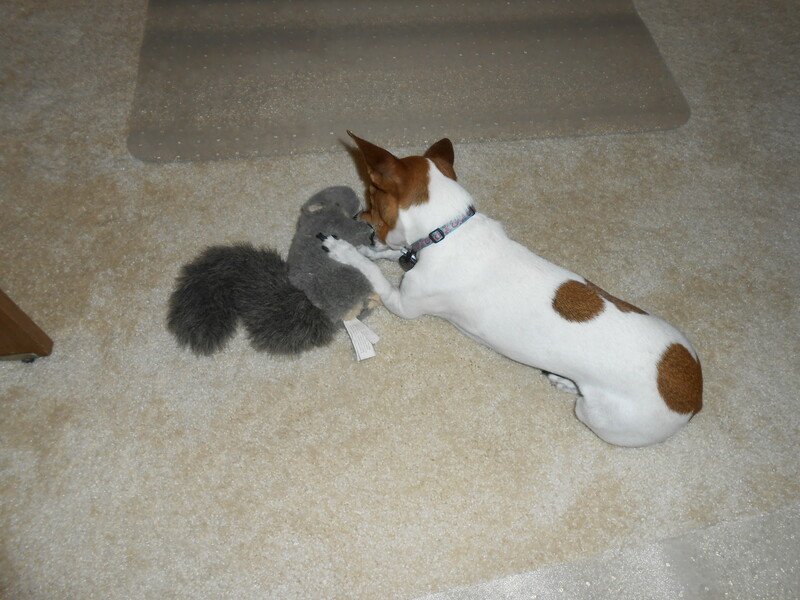 Her second squirrel is in the mending department right now as he has a hole in his tail. He is already missing two feet. Squirrel Sr. was loved so much that Misha is now on Squirrel Jr. 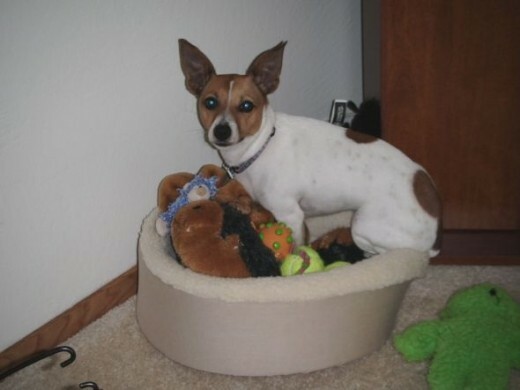 Does your dog play with toys? Which toy is your dog’s favorite? Haley was a big fan of Mr. Hedgehog too. Sadly, he’s no longer with us, lol! Elaine, there is something about those hedgehogs. My brother buys several at a time because his dogs love them so much.